In this tutorial we shall find the area of the region between the x-axis and the curve from to . 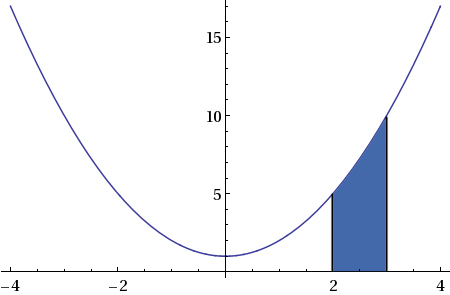 The graph of the function is shown in the given diagram. Which shows that the area under the curve.